The theatre awards in 2015 have changed name and organisation. The nominations are out and the ceremony itself just weeks away. It is timely, as a point of historical record, to record that awards have existed before. The new organisation is the third that has set itself to sifting the welter of productions from the year that has gone before. Five award ceremonies in six categories took place in the years up to 2005. They were the work of the founder of this site and took place in Aberystwyth. The University at the time made a financial contribution. Print media reports from the time may be available for future researchers of culture. On this site there is a piece in the Commentary section from 2005 authored by Keith Morris. 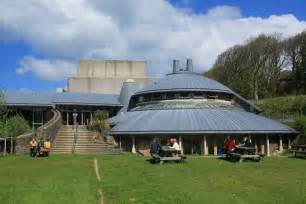 “...Tonight at Aberystwyth Arts Centre the winners of the 5th annual Theatre in Wales’ awards will be announced. These awards, organized by the Theatre in Wales Web site (www.theatre-wales.co.uk) and sponsored by some of Wales’ leading publishers are an unique opportunity for audiences and theatre professionals to highlight the outstanding productions and performances from the past 12 months. What began five years ago as a small scale attempt to generate some publicity has grown like Topsy to become a key element in the Welsh theatre calendar. “Voting for this years six categories (best English production, best Welsh production, best male actor , best female actor, best dance work and best new writing) started on-line just after Christmas and by the time the polls closed last Sunday night an incredible 1900 votes had been registered. “The shortlists of nominations covered the entire range of theatre and performance in Wales, from Clwyd Theatr Cymru’s blockbuster production of “Brassed Off” to Theatr Bwci Bo’s one woman show on the life and death of Catrin Glyndwr, from Marc Rees’s claustrophobic experimental installation art performance “The House Project” to Wales Theatre Company’s expansive Shakespeare trilogy. “The actors nominated for individual awards range from famous names such as Nia Roberts in Clwyd Theatre Company’s production of Ed Thomas’s new play “Stone City Blue” to the newly merging talents of Hywel Morgan in Made in Wales’s production of “Football” at this year’s Edinburgh fringe festival.